If breakfast is the most important meal of the day, then Sunday brunch is the most important meal of the week. 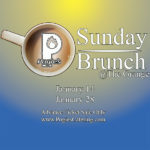 Pogie’s invites you to come relax with us at Pogie’s Sunday Brunch. 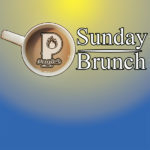 Pogie’s Sunday Brunch will feature a classic brunch buffet done Pogie’s style, all the coffee you can drink, roatating specials like a carving station, eggs benedict and florentine, and made to order omelets & breakfast sandwiches. 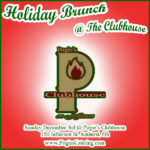 Come celebrate The Holidays with Pogie at Pogie’s Clubhouse. We’ll open up our dining room for our special Holiday Brunch with Classic Buffet Favorites and Brunch Specials.